The distinguishing part of our constitution is its liberty. To preserve that liberty inviolate, is the peculiar duty and proper trust of a member of the house of commons. 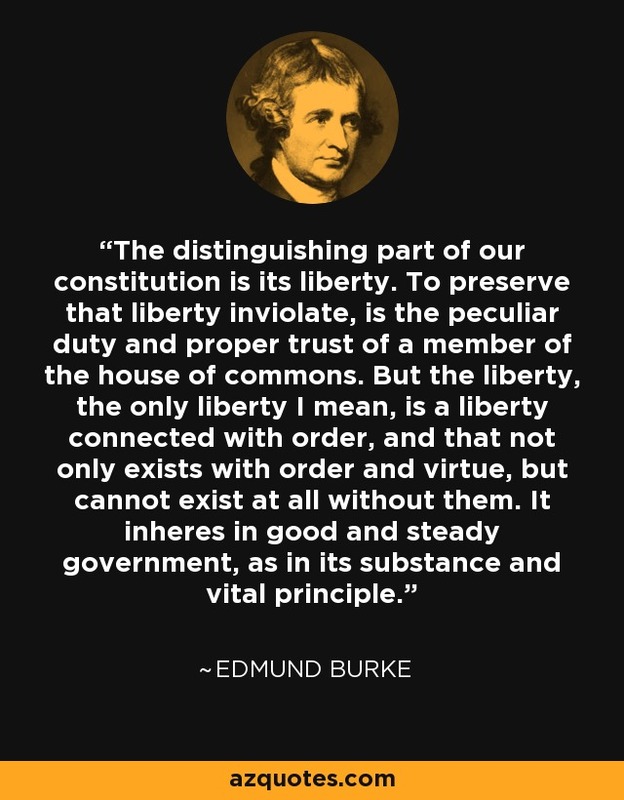 But the liberty, the only liberty I mean, is a liberty connected with order, and that not only exists with order and virtue, but cannot exist at all without them. It inheres in good and steady government, as in its substance and vital principle. "The Works of Edmund Burke: With a Memoir, in Three Volumes".